One of several themes explored during the visit by students in VIS 326 “Pathological Color” with James Welling, was the artistic lineage from Ben Shahn (1898-1969) to Andy Warhol (1928-1987) to Sister Corita Kent (1918-1986). All three of these celebrated artists also had connections with Princeton, beginning with Shahn who lived a few miles east in Roosevelt, N.J., a homestead originally designed for Jewish immigrant garment workers who wanted to leave New York City. 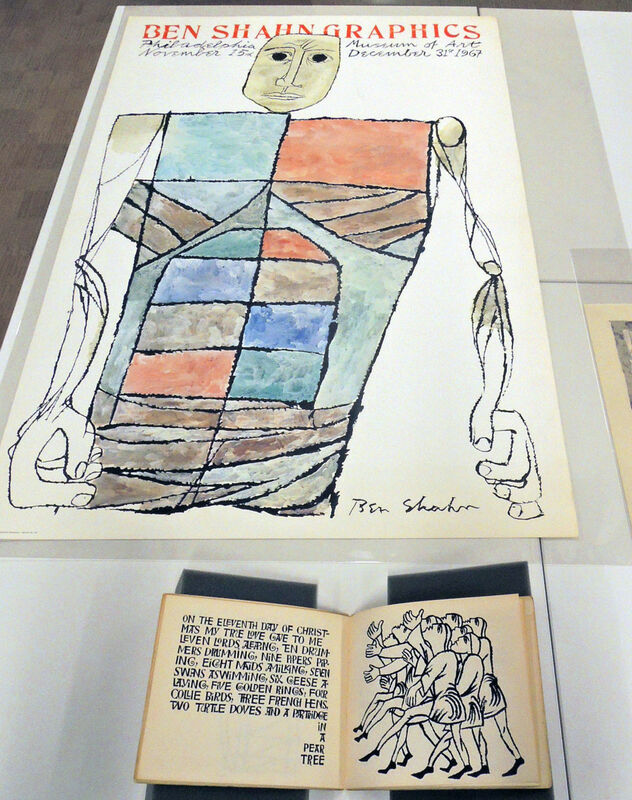 Throughout the 1940s and 1950s, Shahn’s painting and graphic arts were exhibited in Princeton and at the University. 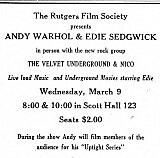 He participated, along with composer John Cage and Judith Malina, co-founder and director of the Living Theatre, in a 1961 panel discussion entitled, “Art and the Responsive Action,” at Princeton’s Murray Theater that inspired many residents to begin protesting injustice. 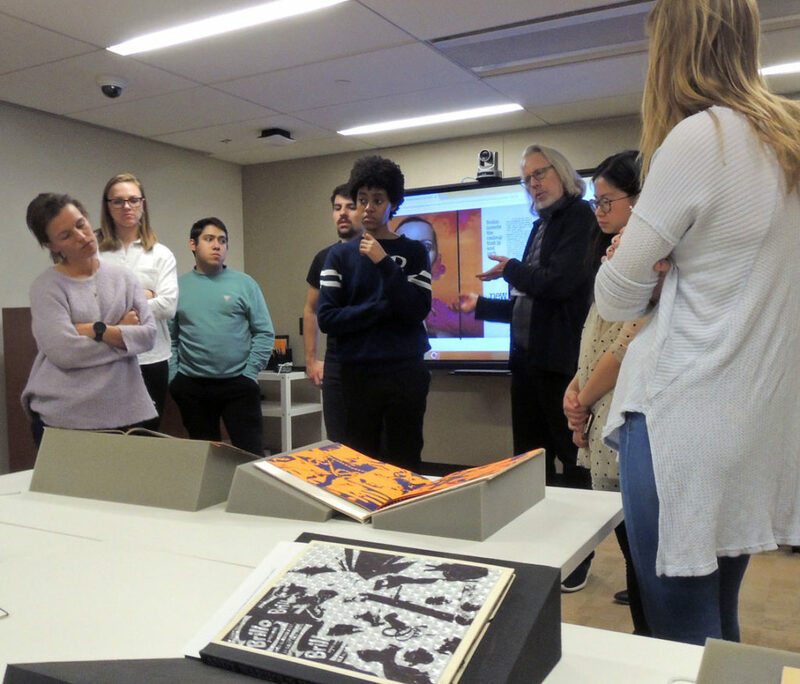 The following year, Shahn received an honorary degree of Doctor of Fine Arts from Princeton and that June, designed the set for a production of W.B. Yeats’s play, “Calvary,” at Princeton’s Theatre Intime. These are a few of many interactions Shahn had with the students and faculty. 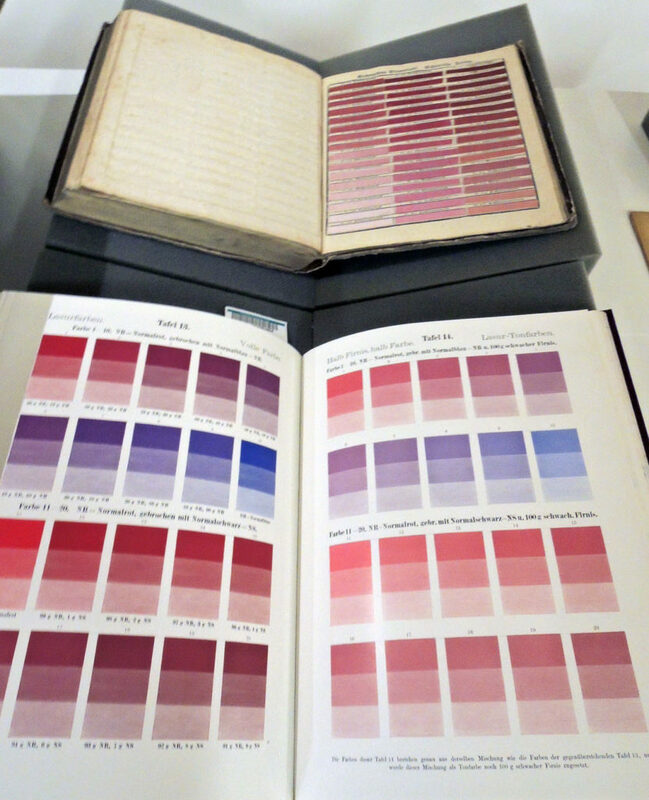 We are fortunate to own Andy Warhol’s self-published A is an Alphabet and Love is a Pink Cake, given to then curator Gillett Griffin on a visit to the artist in New York City. 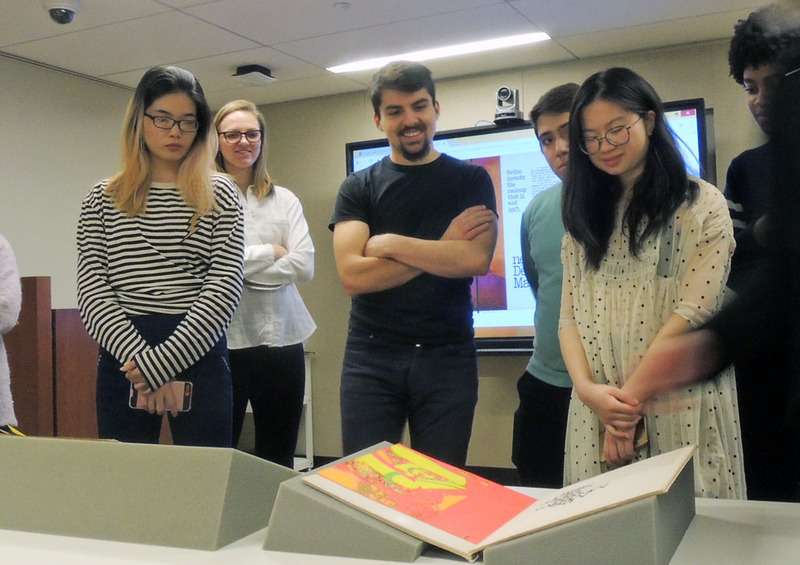 They are two of a series of books and multiples Warhol printed from 1953 to 1959 as personal gifts to introduce his work to art directors and publishers. You will enjoy reading the extended article here. 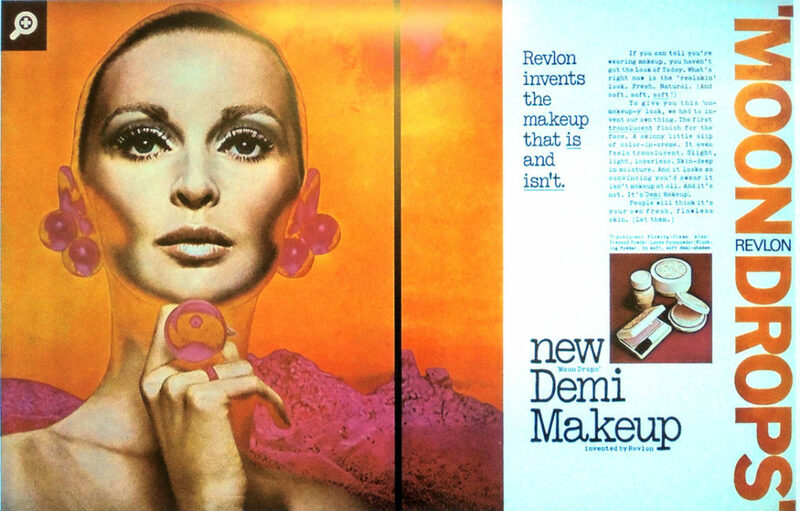 Born Frances Elizabeth Kent, Sister Corita created iconic works of Pop art and social activism. In 1962, she visited the Ferus Gallery in Los Angeles where Andy Warhol’s soup cans were on view and began producing her own prints. 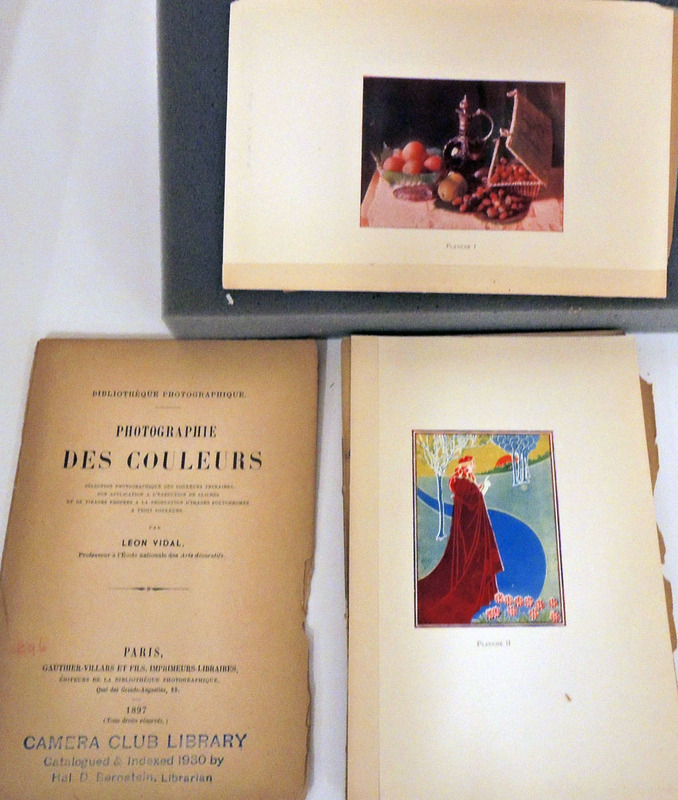 Like Warhol, she favored brightly colored screen prints. In 1962, Town Topics reported on an exhibition of liturgical art held at Princeton’s Aquinas Foundation on Stockton Street featuring Ulli Steltzer and Sister Mary Corita, among others. 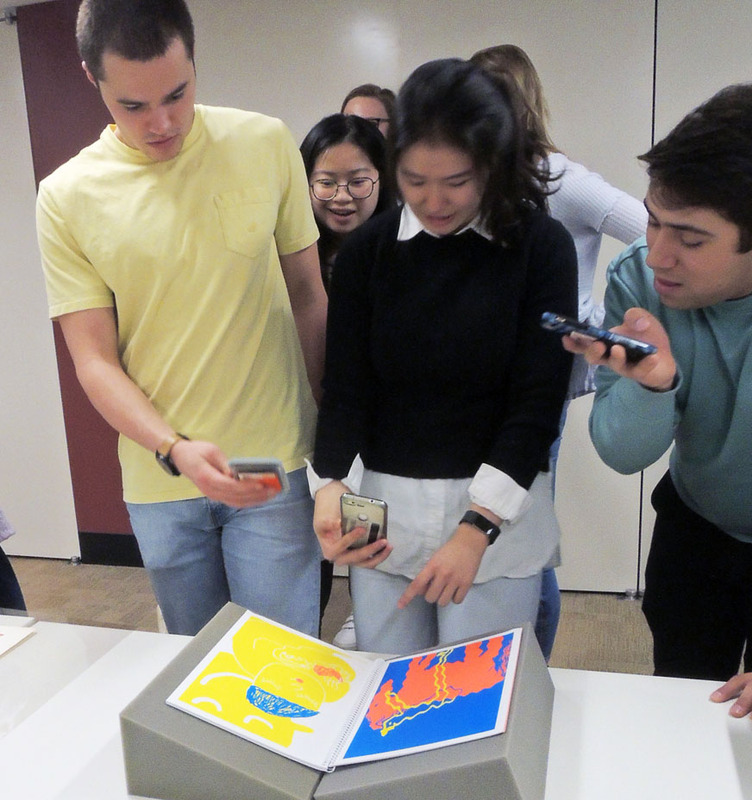 A few years later, the Calvary Baptist Church mounted a show of Carita’s serigraphs and another was held at Murray-Dodge on the Princeton campus. 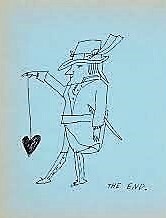 The artist returned to campus in March 1968 to give a lecture at the Princeton Seminary as part of the fourth Edward F. Gallahue “Theology Today” conference. 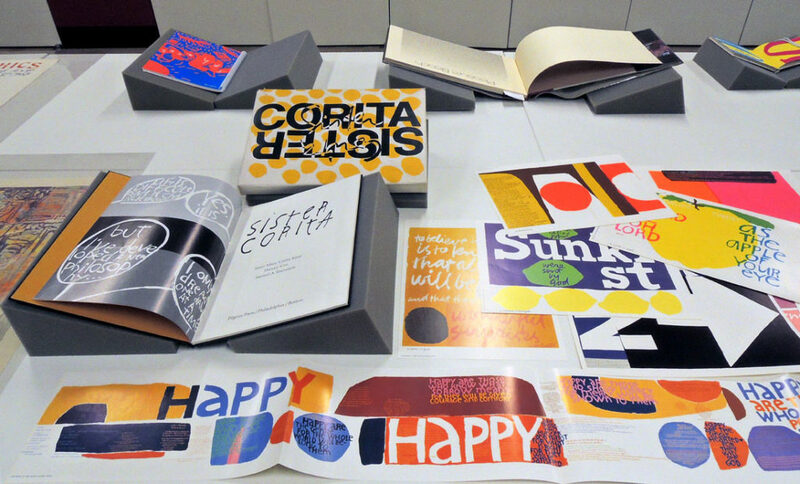 We are fortunate to have recently acquired a box-set of Corita’s screen prints from that year. This entry was posted in Events on February 15, 2018 by Julie Mellby.